NORTHERN Ireland’s prisoner ombudsman has found that an incident concerning the alleged serious assault of two prison officers by an inmate was “falsely recorded”. A new report written by the prisons watchdog has found that an incorrect statement was recorded claiming that a prison officer had been assaulted when instead evidence shows that the officer sustained the injuries falling on his way to respond to an alarm. The complaint was investigated by former ombudsman Pauline McCabe, who left the post earlier this year after five years in office. 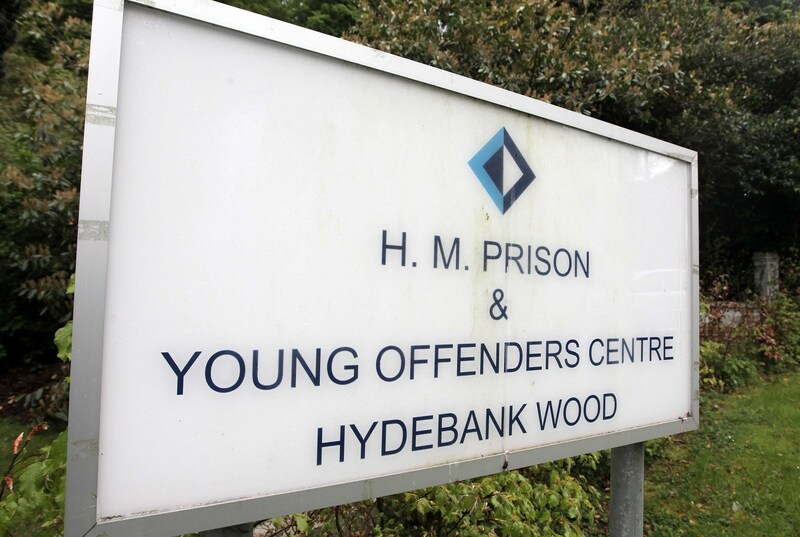 The ombudsman’s investigation began in response to a complaint made by a former prisoner at Hydebank Wood Prison in September last year. The ex-prisoner, who wishes to remain anonymous, made a complaint in relation to the attitude of staff towards him. It was referred to the prisoner ombudsman as he was unhappy with how this was dealt with internally. The former prisoner contacted The Detail and provided us with a copy of the report. Complaint reports are not routinely put into the public domain, but it’s authenticity has been verified by the ombudsman’s office. The report states that the prison governor should ensure that records are created immediately to reflect the true course of events relating to the incident. For the purpose of this article the prisoner will be referred to as Prisoner A, while the ombudsman’s report refers to the prison officers involved in the incident as Officer J and Officer E.
A section of the report deals specifically with the issue that Prisoner A allegedly assaulted Officer J and Officer E on October 7 2012. The Prison Records Management System (PRISM) record of the incident stated that Prisoner A attacked and assaulted Officer J and Officer E on one of the prison’s landings after attempts to control and restrain Prisoner A in his cell. The ombudsman found that it was an incorrect statement that Officer J was assaulted as the evidence showed he sustained his injuries after falling when responding to an alarm incident in Prisoner A’s cell. The ombudsman obtained CCTV footage showing an officer falling on his way to the incident on the landing. The report outlines that the PRISM record of the incident contains an incorrect statement as Officer J was not assaulted but fell responding to the alarm. Officer J fractured and dislocated his right shoulder and Officer E injured his right hip. The ombudsman found that there was no further information relating to Officer E’s injury and there was nothing in the records to suggest he went to hospital for treatment. It is recorded that Officer J “had a sling applied to his injury and was taken to Dundonald hospital by Officer E.” The ombudsman’s report also outlines that medical notes show an injury report form was completed “following an assault on an officer”. The ombudsman concluded incorrect records were made in terms of any reference that the officers sustained injuries as a result of an assault by Prisoner A. The report concludes that it is a serious matter that records are incorrect in these circumstances and that the governor of Hydebank Wood should investigate why this was wrongly recorded.